Day 2 of my Eid recipe series! Click here for day 1! Line a square baking tray with grease proof paper and set aside. Add the grated paneer, condensed milk, cardamom powder and sugar to a pot and heat over a medium flame. Mix constantly to prevent burning for about 7-10 mins. Once the liquid starts to reduce and the mixture moves away from the pot remove from heat immediately. Pour the mixture into the baking tray and top with nuts. Once cooled, place the tray in the fridge overnight to set. The next day, cut the kalakand into squares and serve. 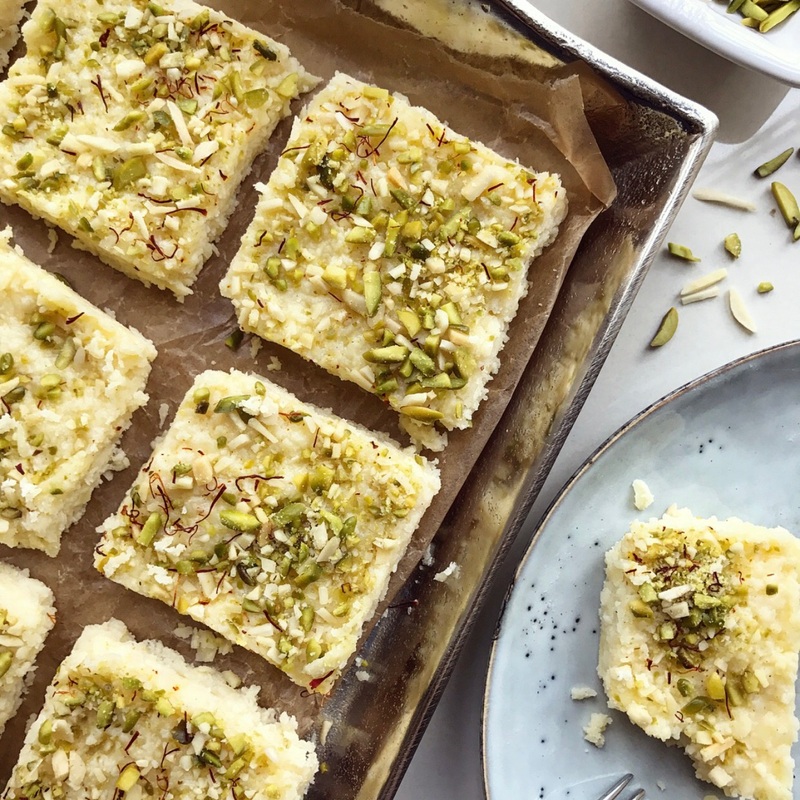 This recipe makes 12 large squares of kalakand.